You can collect points to spend before you even make an order! They automatically link to your account as well, so no lengthy signing up process. 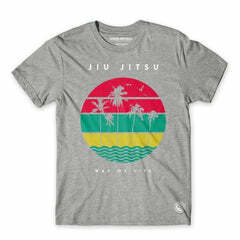 Get your favourite Jiu Jitsu brands, no hassle, fast and with free shipping*. From our new European distribution centre. Here at Fighters Market Europe, we are the leading supplier of fight gear for Jiu Jitsu, Brazilian Jiu Jitsu GIs, nogi, MMA and much more. We offer an enormous range of kimonos, rash guards, BJJ GIs, shorts and training gear for both men and women, as well as kids, from some of the biggest Jiu Jitsu brands including Maeda, Kingz, Hyperfly, Progress, Tatami, Scramble and many more. Free delivery is available throughout Europe and we also offer customisation and wholesale prices for academies and BJJ gyms. Established in 2009, we aim to offer the jiu-jitsu community the very best BJJ GIs and fight wear on the market. All of our team trains, so we know what works and we know what you need to reach your full potential. With BJJ GIs in a range of styles and sizes alongside fight wear and training wear, we're here to help you out. Got a question? The Fighters Market EU team is always on hand to answer your queries. Get in touch today. Is Cross Training Useful for BJJ Athletes?